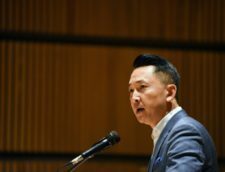 Viet Thanh Nguyen discusses identity, war, and The Sympathizer’s sequel in this interview conducted by the Les Cahiers Du Nem admin. For his startling and brilliant debut novel on the Vietnam War, The Sympathizer, Viet Thanh Nguyen was awarded with the Pulitzer Prize for fiction in 2016. In France, he received the “Prix du Meilleur Livre étranger” in 2017. More than 43 years after its conclusion, the conflict in Vietnam tends to be more and more perceived as a war of many perspectives or, as described by General Cao Van Vien, as “a Rashomôn 1 of one hundred witnesses, one hundred truths”. The main character of The Sympathizer, an undercover communist spy sent in mission in the West only known as ‘The Captain’, embodies perfectly the clash of ideologies and narratives that tore apart Vietnam and its people. Just like his homeland, the Captain is in conflict with his own allegiances between North and South Vietnam, communism and opposition to communism. Interview with the author. In your books, you show a willingness of not taking sides regarding the interpretation of the Vietnamese conflict. Could you tell us why it’s important for you to stick to this ethics of remembering? I think that what I do in my work is to insist that, on any given conflict, different sides would have equally legitimate views of why they went to war, at least in most cases. That is certainly true in the case of the Vietnam War. It’s important to remember that the tragedy comes when there are two sides believing that they are right. It’s not enough, when it comes to trying to remember the past, to say our side is right their side is wrong. We have to be able to imagine this conflict from our enemies’ point of view if what we want to do is to get past war and move on toward reconciliation and peace. If we are not looking for reconciliation, then it is not important to think that both sides might have equally important perspectives. However, that doesn’t mean that I don’t think it is crucial to take a side. In my work, I take very clear ethical, political, and moral stances and judgments. Those are nevertheless not based simply on an ideology which would dictate me which side is right and which side is wrong. It’s more a question of reckoning responsibilities. Based on that, we can judge. I would even add that we should judge. The question of identity is often raised in your books. What would be your definition of the Vietnamese American identity and what resonance you would like it to have in American politics or society? The Vietnamese American identity is simply the identity of the people who came from Vietnam, and hence of their descendants in the United States. Claiming that identity is something important. It means that this particular group of people can both acknowledge their origins and call for political rights in the United States as an ethnic group. This seems to be almost uniquely an American experience because in other countries, in democracies like Great Britain and France for example, the possibilities of claiming a dualistic identity appear to be more difficult. So this is simply what the basis of a Vietnamese American identity looks like. Beyond that, you obviously get into the fact that, inside this group of people who call themselves Vietnamese American, there are a lot of internal disagreements going on, including the matter of discerning the responsibilities in the Vietnam War. Are Vietnamese Americans in the United States because they were rescued by benevolent Americans or are they in the United States because the American imperialism has conducted a war in their homeland? These critical questions are hard to resolve, for there are wounds people keep struggling with. The resonance I would like to have is to allow the Vietnamese Americans to have a voice in American culture, in American history and in American politics when, so often, they have been erased or silenced. By talking about the Vietnam War, I wish to recall the Vietnamese Americans have not been asked their opinion, even though they were the main protagonists. When people are looking for historical experts, they usually turn to American white men. So we need a Vietnamese American identity to gain enough political power to make our voice heard on all aspects of American society, including those in relation with the Vietnam War. You seem to take issue with the title of “boat people” when speaking about the diaspora community. Why this denomination is problematic for you and how does it differ, according to you, with the Vietnamese appellation “Thuyền nhân” of the refugees? One big issue is to know whether names are given to people or if they have chosen to call themselves that way. The term ‘boat people’ in English (the French have been using the exact same label), was put on Vietnamese refugees by Western observers. The creation and imposition of that term is inseparable from the image of the so-called boat people, namely desperate people on overcrowded boats. The ‘boat-people’ soon became object of pity or sympathy, which was not a bad thing, but it was also a way to silence them, to put them in the background of the western drama. Somehow, I have got the suspicion that the ‘boat people’ were a good excuse for showing off the Western benevolence after a dreadful war. ‘Boat-people’ is a term which has got many connotations. I think that “Thuyen Nhan” is better, because it’s a term chosen by the Vietnamese and they have no problem with it. There are other terms that raise a political problem. “Dân ti nan” in Vietnamese is used by the Vietnamese government and people inside the country to describe those who fled away after 1975, but the Vietnamese American never call themselves that way. Once again, the choice of a name and its connotations are very important. Identity seems to be also an issue in Vietnamese politics. Vietnamese civil war was also fought about the very definition of what a “true” Vietnamese should be and how the project of the ideal Vietnamese society to build once the independence or the reunification would be obtained. In “Vietnam, Un État né de la Guerre 1945-1954” Christopher Goscha shows that this struggle about political identity even preceded the colonial war: for instance the word Việt gian began to be widely used by every side -nationalist or communist side alike- to attack the other in 1945, before the outbreak of the Indochina War, in what was then called as the ‘Bút chiến’, the ‘pen war’. What is your analysis of the identity war which occurred between the Vietnamese? That’s related to the previous question on Vietnamese American identity. So, identity is important because you need to mobilize people for political action. But it can as well be a tool with various potentially dangerous ramifications. Identity politics in the United States is often about saying who is truly of one group or not. Who is authentically Vietnamese or not? That is the drawback of having an identity. When I was growing up in the United States, I was often reminded by other Vietnamese people whether I was a true Vietnamese or not. That’s a lightweight version of what’s happening in your question, where people are using identity in even more grave circumstances to determine who is patriotic or who is a traitor. Once you start to go down that road, you accept this idea that there is patriotism and treachery, that there is authenticity and inauthenticity. I am the kind of person who doesn’t believe in those terms, for the reason it deals with loyalty to an ideology or to a nation. It is setting up the circumstances by which you are identifying people who deserved to be killed or to be put into camps and so on. Likewise with authenticity or inauthenticity: you start to determine who is real and who is fake. That’s why I wrote a novel, with The Sympathizer, where I could not have a Vietnamese narrator. I have imagined a half-French half-Vietnamese narrator because I wanted to question the very notion of what is a Vietnamese person. Many Vietnamese are ambivalent about it and that ambivalence leads to racism against people of mixed race descent in Vietnam. That is simply one step on the spectrum of thinking about authenticity and inauthenticity. It culminates in this type of revolutionary behavior on all sides. So, my project has been to think about what means the ‘true revolution’. Is the true revolution simply to liberate the country and define that in term what is authentically Vietnamese? Or is the true revolution to eventually get beyond these notions of nationalism, authenticity and patriotism? Which would be a more utopian, revolutionary project. In France there is a paradox about the memory of the Vietnam War. Even if France welcomed the largest community of Vietnamese refugees in Europe, the narrative of the Vietnamese revolutionaries is better known than the one of the boat-people. What we mostly remember in France about Vietnam is the vision upheld during the anti-war demonstrations led by the leftists Parisian students, which became part of the popular culture of the societal movement of “May 68”. Although the plight of the journey of the boat people and the re-education camps did receive quite extensive media coverage, very few people in France understand the political motives of their exile. For instance, the very existence of the former homeland of the boat people, the Republic of Vietnam, is most of the time unknown in France. As you stated in other interviews, why do you think the Vietnamese diaspora, despite being quite loud, is still unheard in Western countries? It’s hard to generalize. May 68 in France and the Vietnam War as it was understood then were very much oriented towards the Vietnamese struggle for revolution and independence, which meant basically North Vietnam communist party, Ho Chi Minh, National Liberation Front and Vietcong. They were seen by people all over the world as the heroes, unlike the South Vietnamese. That perception was very strong at the time. For ideological reasons, the French ironically stood aside those who defeated them in Dien Bien Phu. In the United States, the difference is that the Americans are anti-communists but they respect the winner. The Vietnamese communists beat them. So, that means that much of the American drama is actually going toward the Vietnamese communists. The defeated South Vietnamese, their own allies, the Americans took them in but I think they didn’t really respect them because they were the losers. These are the two different contexts here that explain why the refugees ended up being less visible in France and in the United States. Their role in these two countries was soon to become the respectable model minority knowing economic and social success. They weren’t seen, in any ways, as revolutionaries. This was left to the Vietnamese Communists. Furthermore, the concept of revolution is perceived differently in France and in the United States. The Americans, never having known socialism, would despise that idea of revolution and hence the Vietnamese revolutionaries, whereas I think in France, people do like it. It explains why there would be more empathy with the Vietnamese Revolutionaries. In the French Vietnamese community, you’ve got both pro-revolution and anti-communist people. That makes a huge difference, because in the US, if there is anybody who feels sympathetic to the Communists, they would not say it. The French situation is very interesting and that’s one of the reasons why I want to write a sequel about it. In the US, historians appear to be divided between highly politicized currents. A majority of scholars seems to be related to the orthodox school which considers Vietnam War as a costly US mistake. According to this school, Ho Chi Minh was a misunderstood nationalist above all and non-communist Vietnamese were negligible puppet allies, thus America involvement was not justified. In addition, the war crimes perpetrated by the US made the American War particularly immoral. The other important current is the revisionist school which advances that Vietnam War was a just war albeit badly executed: American intervention was necessary to stop a perceived communist expansion where this time Vietnamese communists played the role of the puppets of China and USSR. There is now a new generation of scholars (some refer to themselves as “post revisionists”) who try to “vietnamize“ the historiography of the Vietnam war by focusing on the agency of the Vietnamese actors in the conflict. According to this new current, Vietnamese were not passive victims or lackeys. Vietnamese communists or nationalists had their own idea on how to prosecute the war, their own political project, which they wanted to pursue at all costs as an objective of the conflict. That’s why for these scholars, Vietnam War was a civil war at its core, greatly exacerbated by foreign intervention. Where do you situate (or not) your works within these schools of historians? I would clearly fall into the post-revisionist current, with a tinge of the Orthodox approach. In my work, I try to have a critical approach of the American imperialism. I call it American imperialism: you would never hear that term in the revisionist school. I’m an American more than I am a Vietnamese and I was raised in the American culture, so my orientations are often about the United States, reacting critically against the policies of the United States. That fits in with the Orthodox approach to the Vietnam War and the Vietnam War Studies. I also have a lot of sympathy with the post-revisionist approach because it’s looking, as you say, at the agency of the different populations in the country, which means giving credence to deeply opposed sides, communists and non-communists, communists and nationalists. How can you take both sides with equal credibility if they’re so deeply opposed to each other? That means being able to grant legitimacy to the idea that South Vietnam was a country, which many people in the Orthodox school would not admit, unless describing it as a puppet State. But it’s a tough question, considering how corrupt the political leadership and the military was. It also means giving credence to the possibility that the communists were also nationalists, that they were Vietnamese who either believed in communism or as communism as a useful ideology to harness their nationalist ambitions. You also have to be critical about what they did wrong because as well. The South Vietnamese are right in saying that communist Vietnam became totalitarian, and the post-revisionist scholars have shown that communist Vietnam, even before its victory, was already totalitarian in North Vietnam. Therefore, I think that by giving agency to the perspectives of the Vietnamese people themselves, even when they’re in conflict, we can decenter the approach of both the orthodox and the revisionist schools, which are both focused in the United States’ involvement, either for or against a certain vision of America as a noble country and its subsequent exceptional status. Orthodox and Revisionist visions have dominated in American culture because they are centered on American actors. That’s why we need this post revisionist school to pay attention to the Vietnamese. Unfortunately, it’s an academic debate and most of the people who care about this debate are all within the academia. Even though there’s more credence given to Vietnamese voices and perspectives, it’s within the context of academic study. In the popular culture of the United States, this US’ actors centered vision is still dominating. That’s why it was necessary to try to write a novel that would take on Vietnam War merely from the post revisionist approach to try to get that out there in a more popular way. While we should show the same level of interest for every participant of the conflict when remembering the Vietnam war, do you think that each actor of the war share an equal of level responsibilities in the conflict? From the writer’s and scholar’s perspective, it’s important to show empathy for every side in the conflict. It’s judicious looking at this conflict from every point of view. As I said before that doesn’t prevent me or anybody else from making judgment in regards to levels of responsibility. I tried to include in the novel all the theoretical framework that I’ve put forth in my book Nothing Ever Dies. It implies assessing whether people whether sides are capable of acknowledging their own responsibility and culpability. In that framework, I would have to say that the Vietnamese communists and the southern Vietnamese have proven to be the least willing to acknowledge their culpability. Neither side is willing to say they did anything wrong. The Americans would be the most willing to be investigating on their own culpability, but they do so by erasing the Vietnamese. So none of these situations are ideal. For me when I look at this history, I don’t think that there is an equal level of responsibility. I think if France hadn’t colonized the country and America had not come in to the side of the French, we wouldn’t have the Vietnam War. We might have other things for which the Vietnamese would be responsible, but we wouldn’t have a colonial and decolonizing situation, in which the detainees felt compelled to act one way or another. So yes within a framework the Vietnamese bear their responsibilities and that’s very crucial. You surely have to assess what all the sides did, but they were all working within the framework of trying to be independent one way or another. That doesn’t mean that they were totally justified but they were reacting against something the French and the American had set up in the first place. I want to replace and recall every side’s responsibility, without erasing anything. How were received your books in the Vietnamese American community? It seems that part of the diaspora is quite critical of some of your political positions, why’s that? Do you think that a debate is possible with those who oppose your views in the Vietnamese American community? The reception of my book was linked with the fact the Vietnamese American community is deeply influenced by anti-communism. There are many people in the community who have not read The Sympathizer simply because it’s written from the perspective of a communist spy. They’ve taken a strong ideological position against that. I knew that was going to happen. Then, there are others who have read the book who read it in English who were sympathized. I haven’t heard very many negative reactions to the book actually from people who’ve actually read the book. They tended to think the novel really depicted the things that actually happened, for those who really went through that time, and for those who are younger, and for those who are younger, they were saying it tells a story that needs to be told. But of course, the fact that those readers can read English, have a degree of acculturation to the American culture, and the distance there is within the English language, it may predispose them to be sympathetic to the liberal perspective. What would be interesting is to know what will happen if and when the book is translated into Vietnamese and, if the translation is good, what the rest of the community will think. I would add that, once the book won the Pulitzer Prize, it didn’t matter whether people read the book or not. They were very happy to claim me as a Vietnamese person. It seems that the prize trumped everything else and the books content, which only goes to show that a western prize is being seen as a way to give legitimacy in a minority community… It’s another evidence of the colonization we have undergone. How are your books received within the Vietnamese audience in Vietnam? Most of the audience in Vietnam has not been able to read the book because it’s not translated in Vietnamese yet. It seems like the circulation of the book is suppressed in Vietnam, or at least it’s not encouraged. It’s not absolutely censored but people have to make efforts to try to get this book in English in Vietnam. Those who have communicated with me have been very enthusiastic. That’s all I Know. What is according to you the obstacle to a true reconciliation between Vietnamese? First, I think you need the possibility of free speech, because if you don’t have it in Vietnam, there is not going to be a true reconciliation because people won’t be able to say what they want to say. But who knows what kind of changes have to take place structurally in Vietnam before that can happen? The second thing is the capacity for people to not simply talk about what was done to them as victims. Victims of Vietnamese communism or victims of French colonialism, or victims of the American occupation. They need to have the capacity to talk about what they did to others. The Vietnamese communists don’t want to talk about that. They don’t want to admit that they ever did anything wrong. South Vietnamese also don’t want to admit they did anything wrong. I have brought up, in my books, in my speeches or on my Facebook page the possibility that hey the South Vietnamese did do things that were wrong and the response has always been from the Vietnamese language audience: ”We didn’t do anything wrong, only the communists.” You can’t have reconciliation that way. As a matter of fact, either those people don’t want reconciliation or they want reconciliation on their own terms, which is not reconciliation. People have to acknowledge that they, as actors, or they, as part of the larger collective, are capable of doing terrible things. We need to identify those things and acknowledge the responsibilities. Most people don’t want to answer these questions. 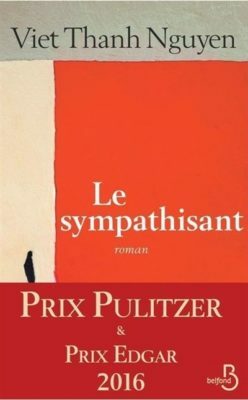 The sequel of the Sympathizer will take place in Paris. 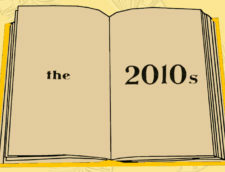 Could you share with us some insights about your next book? Are you going to speak about the French Vietnamese community? 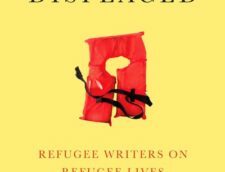 The sequel picks up exactly when The Sympathizer ends: on the refugees’ boat leaving Vietnam, in 1981. The narrator makes it to Paris as a refugee. I think many people who finished the novel thought he was going back to America, as if that should the only place to go when you flee a communist country. In my mind, that was never the case: he was never going to America. The second factor is that he’s half French. I wanted in the sequel to move to Paris so I could really take on French colonialism, as well as the character’s French legacy. The novel is set on the first half of the 1980’s. The narrator is trying to find his father’s family. He also gets immersed in the criminal underworld as well. This is important, because when I wrote The Sympathizer, it was conceived as a historical, political, philosophical novel but also as a spy novel. I used the spy novel to give a plot to the book, to make up an interesting and compelling story. That’s where the criminal story becomes important: he’s going to Paris and becomes involved in the world of drugs there. The French in Indochina financed their Empire with opium production. This was a legitimate State enterprise in which the government and the military intelligence were involved in. I wanted to take on the view that drug became important once exported back to France as well. There is also that idea of the ideological division between pre and post 1975 Vietnamese refugees in France. The French tended to sympathize with the communists. Part of the novel deals with the French left. The Sympathizer is very critical of the American right wing, conservatives, and moderate Liberals, but in this case, I wanted to criticize the Left. They made a lot of mistakes in the Vietnam War and its aftermath, mistakes that were rooted in the May 68 movement the thought of the French left wing.